Contrary to all modern breeds, the AfriCanis is NOT an artificially selected breed, but a LAND RACE. It is the result of natural selection,and physical and mental adaptation to various African eco-logical niches. It has not been “selected” or “bred” for appearance. Nature made it to fit the conditions of Africa. In traditional southern African philosophy, the most important requirement for a dog is to be “wise”. For centuries, only the fittest and cleverest dogs survived to give us one of the rare remaining natural aboriginal dog populations in the world. 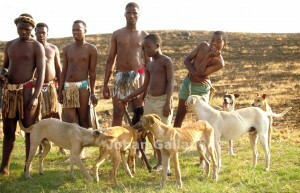 The AfriCanis is medium sized, slenderly built and well muscled. It is agile and supple, moves in a very natural and easy manner. He has the stamina to trot for long distances on rough terrain and hilly environment, in gallop it can reach great speed when required. When in good condition, the ribs are just visible. The head is cone shaped with expressive oval eyes. Eye rims, lips and nose should be black.The ears may be erect, half erect or drooping. The carriage of ears and tail is linked to the dog’s awareness of its environment. These variable physical features are of no direct influence on the physical and mental well-being of the dog. 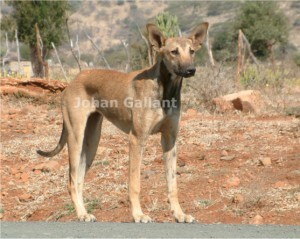 The dog has a short double coat, is found in a wide range of colours, with or without markings. A ridge of varying form can exceptionally be seen on the back, this mutation can be associated with a dermoïd sinus. 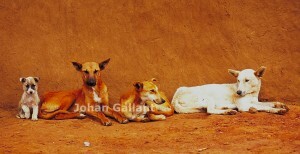 Dogs with a ‘ridge; lack of pigmentation are not recommended for breeding. The dog displays unspoiled social canine behaviour with a high level of facial expressions and body language. Its nervous constitution is steady and displays a high level of natural survival instinct. Their African heritage goes back 7000 years, to the dogs which came with Neolithic herdsmen from the Middle East into the then dog virgin continent of Africa Even before the time of the Egyptian dynasties, domestic dogs spread quickly along the Nile river. At the same time seasonal migrations and trade took them deep into the Sahara and Sahel. 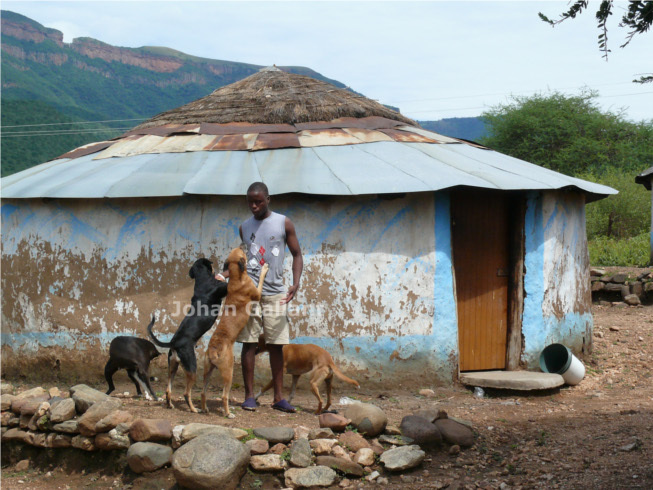 Iron-using Bantu speaking people brought their domestic dogs along when, from about 200 AD, they left the grasslands of Cameroon in a massive migration which eventually led to their settlement in Southern Africa. The earliest record of a domestic dog in South Africa is dated 570 AD, on the farm Diamant in the Ellisras district, near the Botswana border. 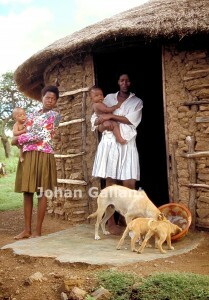 At the same time, domestic dogs lived south-west of Francistown, Botswana. 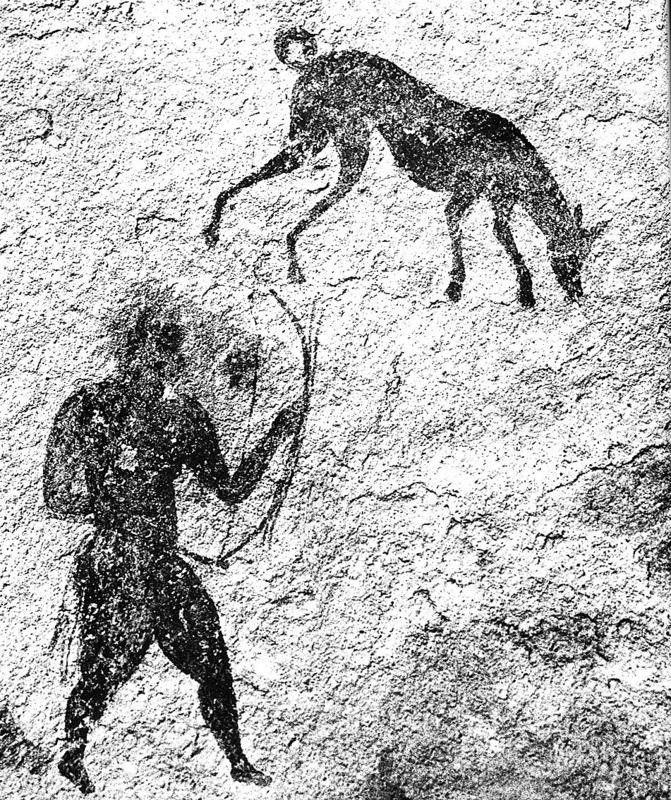 By 650 AD the dog is found in the lower Tugela valley, and by 800 AD in a Khoisan settlement at Cape St Francis. To conserve the AfriCanis, he can be utilized as a real working dog, such as flock guard dogs, search and rescue, tracker dogs. As a familly dog, on condition that he can be part of your famlly activities such as long walks, running, cycling or leisure training such as tracking dog trials or in agility competion. From a health care point of view, the routine vaccinations are needed. But you won’t need to open an account at a veterinary clinic. The AfriCanis is a cost-effective dog. 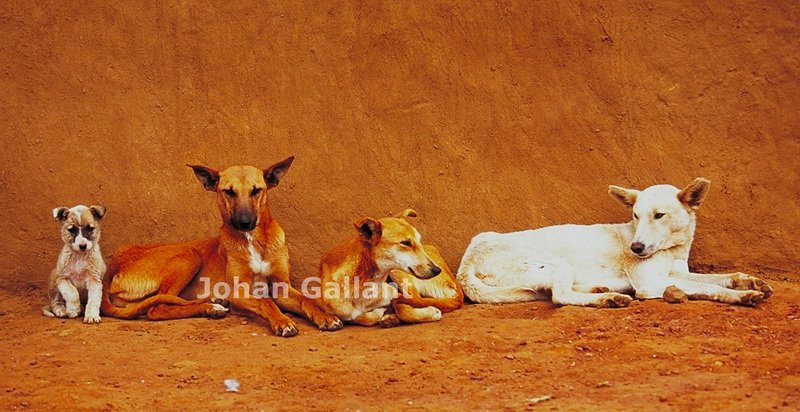 The AfriCanis Society is not intent on, and does not support any moves towards transforming this aboriginal dog population into a standardized dog breed. The AfriCanis Society accepts the AfriCanis’ many physical variations and maintains that these are shaped by their immediate environment. A genetic characterization has established a specific DNA marker for the AfriCanis assisting with the identification of Africa’s unique aboriginal landrace. It maintains a code of ethics, guidelines for breeding, regulations and a procedure for registration.